The third classified of the raid in cars, satisfied with the result of the Peugeot, flew home the same Thursday to prepare Monte Carlo. 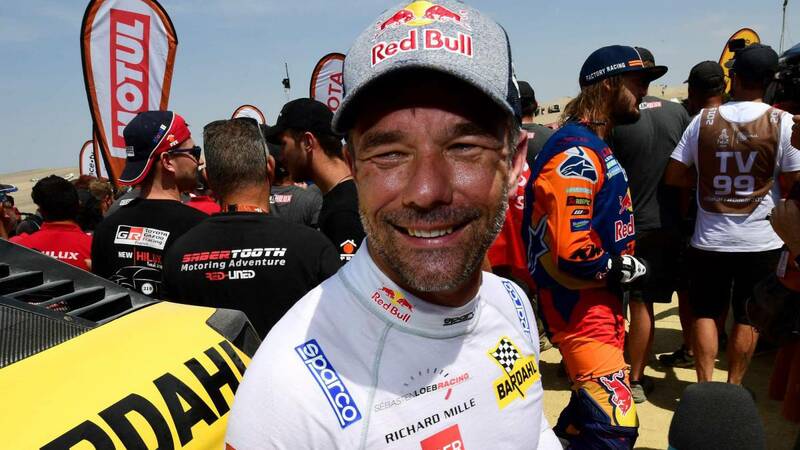 Sébastien Loeb, third place in the Dakar 2019 behind Al Attiyah and Nani Roma, his second best result in this race after the silver in 2017. With a Peugeot 3008DKR managed by the PH Sport private team, the Frenchman flew while he could. Now fly home to prepare the Monte Carlo Rally, its premiere with Hyundai in the World Cup, as explained to As. -You had already been second in the Dakar, this time was third. How happy is this result? -I'm fine, considering all the problems we've been through, finishing in this position is not so bad. We left a lot of time in some stages and had to make a couple of repairs. That's life, I'm not sure what to say. I am happy because in many moments we were the fastest in this Dakar, the sensations were good and we had a good time riding. In general, it is a good result to finish third with a private car, it is not so bad. -How much did the project be private? Because if it maintained such a high pace every day, the car ended up suffering. -Yes, although in the end the electrical problems we had is not a matter of what the car suffers in the stages, it's simply bad luck. And then we know that the transmission is a weak point of this car from the past, it has been broken several times even if it did not break last year, because then it was evolved. Two and three years ago it was a problem. -Would you like to return to the Dakar in the near future? -At the moment I do not have those plans because as long as we do the Monte Carlo Rally it is very hard to plan another January like this. It's a bit too much. -What is your agenda from the end of the Dakar until Monte Carlo starts? It must be impossible to get rested to the rally. -Yes, it's clear. We take the plane the same night that the Dakar ends without being able to go to the podium because that's how we arrived on Friday afternoon and we can do a test on Saturday. I have not tried the Hyundai yet. Weekend of tests and recognitions from Monday. It's all right.